It's clear Uncle Warren has a dog in the political fight so why didn't he mention politics in his Buy American note eight years ago? Eight years ago, we were in the midst of financial crisis. Warren Buffett penned an op-ed in the New York Times encouraging investors to “Buy American, I Am”. So did you buy American? Too many investors were scrambling to do the opposite. On the front page of the New York Times from that day is a big picture of Joe the Plumber and a chart of oil prices shooting up to $140/barrel and then down to $70. Inside, economist Paul Krugman lambasted the Federal Reserve and predicted a nasty, brutish, and long economic slump. Who in their right mind would buy stocks in that environment? The S&P 500 fell another 30%, hitting bottom on March 9th, 2009. Had Warren Buffett lost his touch? No. Since October 17, 2008, the S&P 500 has gained over 150% (over 13%, annualized). The S&P 500 is up over 250% (over 18%, annualized) since the very bottom. Not even Buffett can time the market perfectly. 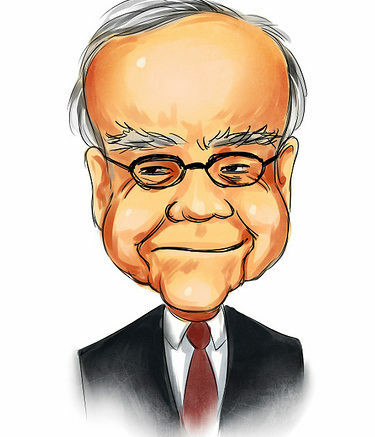 Warren Buffett’s message from 2008 is worth reading at least once every year not only for what it says, but for what he left out. He doesn’t mention the upcoming election at all. Just like every election since Lincoln, 2008 was touted as the most important election of our lifetimes. And yet not a peep from Uncle Warren. Doesn’t the election have a huge impact on investments? BlackRock, JP Morgan, and most other high quality research firms agree: The market doesn’t care. The funny thing is that while they came to the same conclusion, they often used different numbers. Why? Some firms used data going back 100 years, others only 50. The numbers change depending on whether calendar year returns are used versus monthly data based off of inauguration dates. Raw returns are different than returns grouped by President. I ran my own numbers using Ibbotson data going back to 1926. As with most sets of data, you can get to the answer you prefer by cherry-picking dates. I read one article where it was suggested that the data should be lagged one year so as not to punish a new President for inheriting a bad situation. Lagging the numbers ends up reversing nearly all of the outcomes. There are still other schools of thought that say you have to factor in the Senate and House. Sample size becomes an issue in these studies, but again there just isn’t actionable data in the results. The takeaway here: Don’t invest according to your politics. If the political party of the President really did move the market, investing would be predictable and easy.